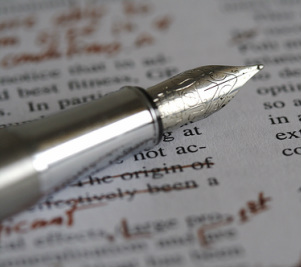 Delve's "Open Critique" program is FREE to pilot members of Delve Writing. The number of submissions addressed each session is limited by time, but all members of Delve Writing are invited to attend. Click here to enter classroom. Our focus this month is "description." Submit a short scene or portion of a scene (no more than 750 words) that includes a description of a character, setting, or other element. Note that we'll be focusing on the descriptive sections so the entire submission may not be critiqued. To submit your work to be critiqued, email your pages (in standard manuscript format) as a .doc attachment to Submissions [at] DelveWriting [dot] com by NOON the day prior to Open Critique. Submissions will be taken on a first-come, first-served basis, with priority given to new submitters. OC is not meant to take the place of a regular critique group. Instead, OC is a place for you to get fresh eyes and feedback on the critical beginning page of your manuscript. It's also a place to learn about good critique practices.